Wrestling with your mixed martial arts training? 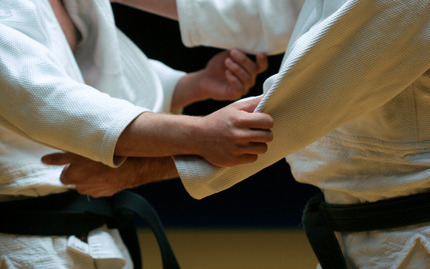 Get the leverage you need with some submission grappling training! Submission grappling focuses on the floor elements of Brazilian Jiu Jitsu, teaching both efficient locks, chokes, and body positions to take the fight out of your opponent, and escapes to get free when you find yourself caught in another fighter's grip. These techniques are a perfect compliment to to mixed martial arts training, and the classes members themselves are often participants in submission tournaments in the area. In addition to building confidence in your ground game, this class will be a great compliment to your fitness by helping to develop your core strength and stamina. Plus, who doesn't like rolling around on the ground?